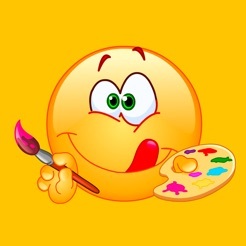 Emoji Maker! 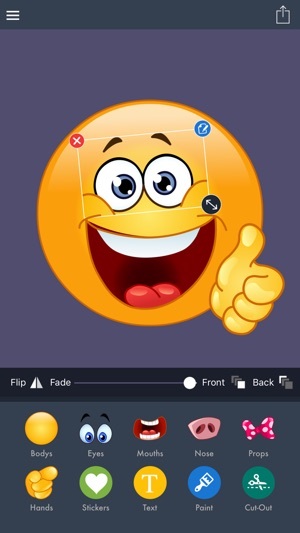 Emoji Creator! Emoji Crack! 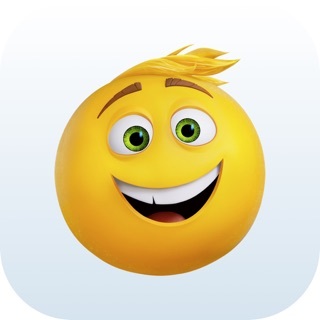 Make your own emoji! It's fun, fast, free and addicting! 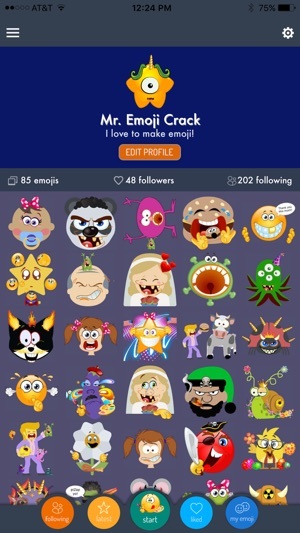 Tired of the boring old emoji on your phone? You are in luck! 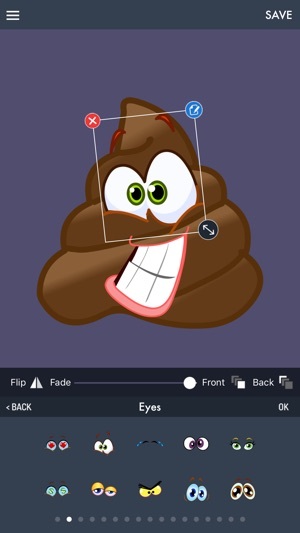 With piZap's Emoji Maker you can create your own emoji in a snap. The emoji design possibilities are endless. 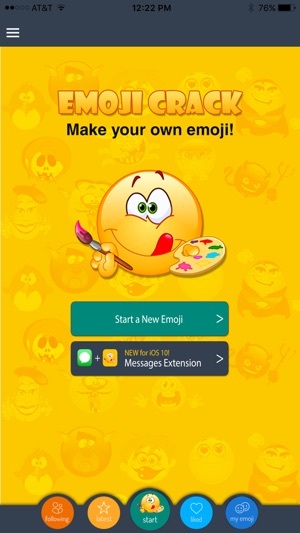 You will have hours of fun designing, and sharing your own emoji creations. Just be careful, once you start its hard to stop. You have been warned. - Easy to learn, hard to stop! 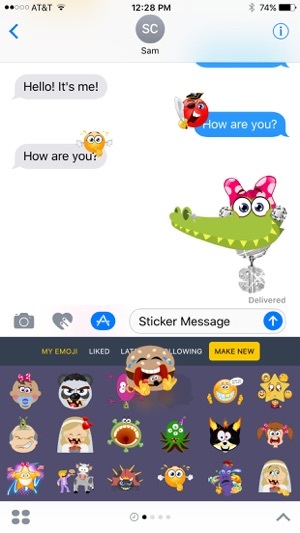 - Share your emoji in text messages, Facebook, Snapchat, Twitter, Messenger, WhatsApp, or any other app on your phone. Created by the makers of piZap Photo Editor. 4671 NEW Stickers! A massive upgrade! 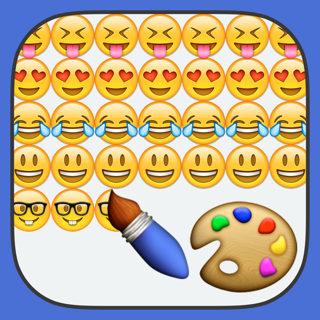 - add background color or background image to your Emoji! There are some very graphic emojis that I have come across. Some pornographic. If you are going to have this listed as 4+ then you should make it so that the custom emojis that people make are not able to be seen by everyone. I thought about downloading this for my 8 year old but am glad that I looked through it myself first. You should really adjust either the rating or the ability to see other people's creations. Or Facebook I don’t have Facebook so I tried my email and it let me login then kicked me out and I couldn’t login with my email. Then I tried my phone number it let me login then kicked me out. When I’m not logged in I couldn’t do most of the stuff on the app and it wasn’t fun at all. Some say not to give any app five stars but your app deserves all five! I'm sure you will improve on and add to your app just like every other app must but it's more than serving it's purpose for me at this moment.